This print Yeti Yoga towel mat has nonslip rubber grips on the bottom, allowing it to stay in place on a smooth surface. 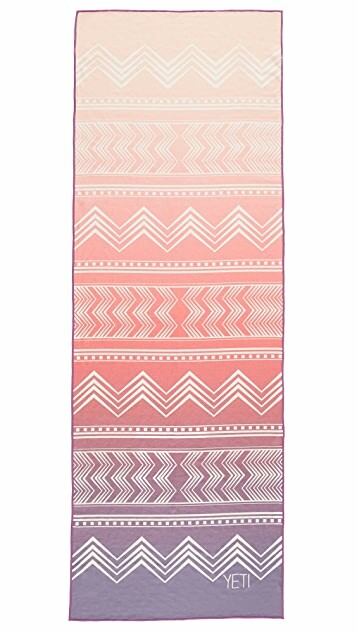 Founded in Portland, Oregon in 2014, Yeti Yoga designs and produces yoga mats in eclectic prints. Offering a lighthearted addition to yoga and other mat-based fitness routines, Yeti Yoga channels the strong geometric designs of the American Southwest and renders them in bright, playful colors. Yeti Yoga mats maintain ageless appeal, and the company infuses its design-driven fitness products with fun, approachable style. 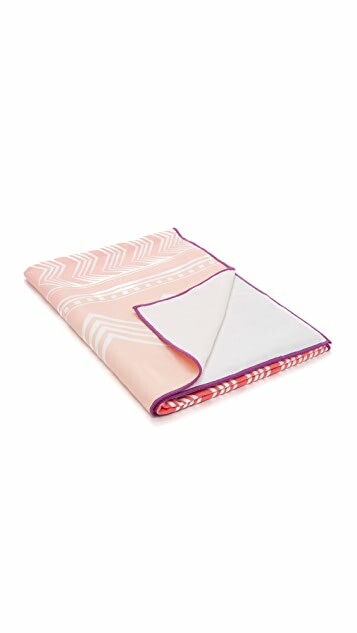 This yoga towel is really cute and really functional. Overall, a great purchase. I'd definitely consider buying another yoga towel from this brand.